Do y’all remember the star of our Ochoco picnic? It was the pound cake, of course! 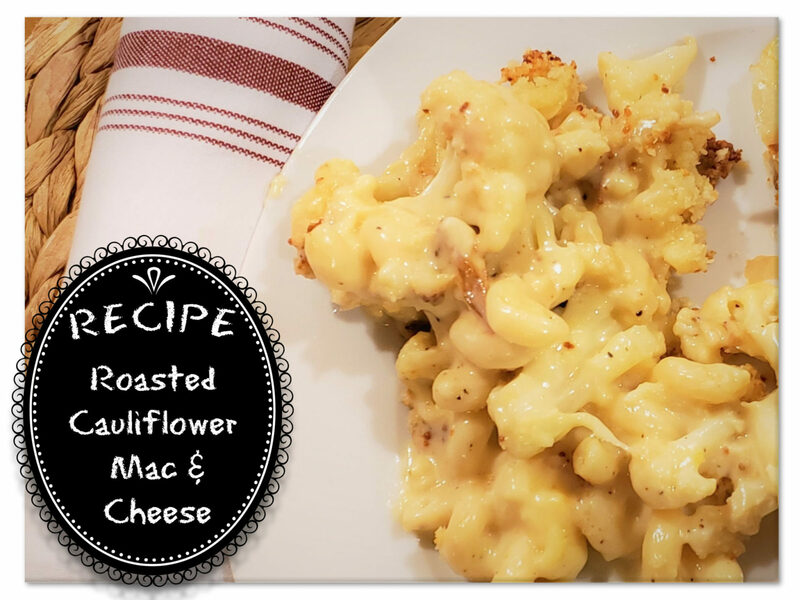 We just couldn’t keep this Farm Kitchen Recipe to ourselves, so we had to let you in on it. This has been a favorite of ours for quite some time and has made an appearance at many special events throughout the years. 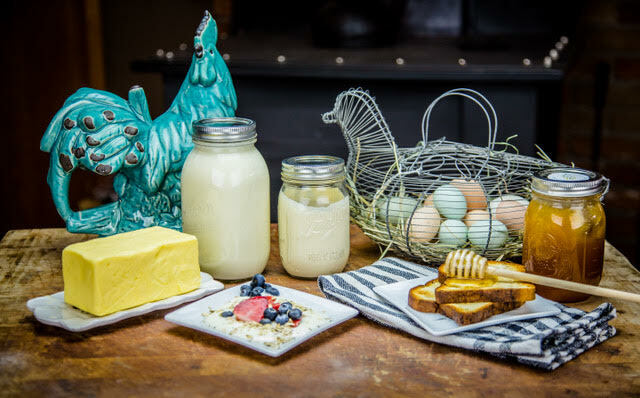 We recently got our hands on some real, raw farm butter from a farmer down the way, at Windy Acres Farm in the ranching community of Prineville, Oregon. 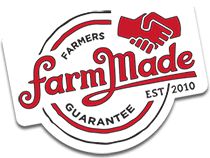 Its hard to imagine that butter could be better, but real butter from a working dairy farm is a whole new level of nirvana. It lends notes of caramel and a distinct nuttiness to recipes where butter shines, such as pound cake. 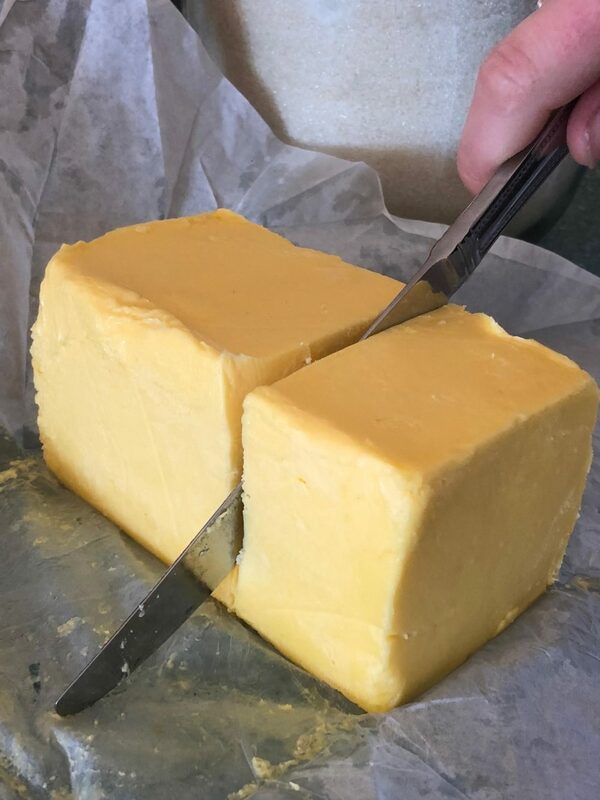 It truly tastes like its golden hue made of sunshine, captured by the grass, grazed on by the cows and transformed into the cream that is beaten into butter. 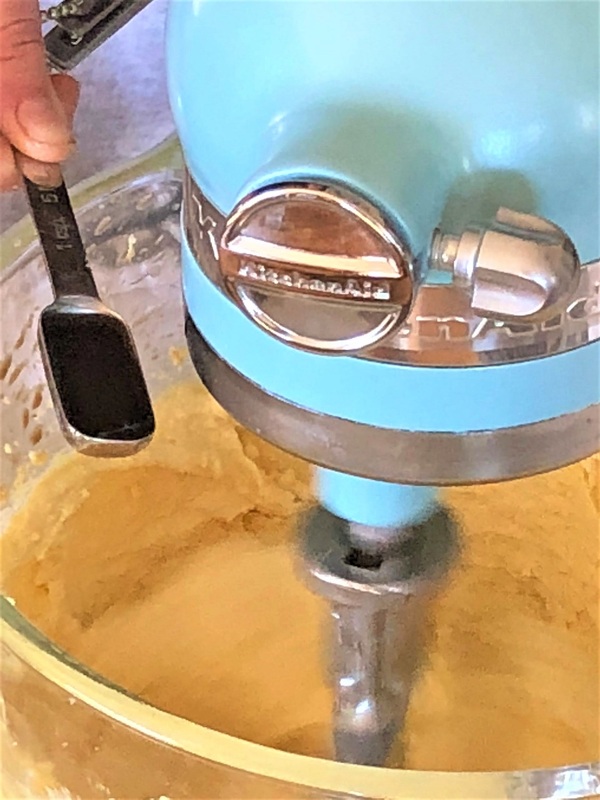 Traditional pound cake earns its namesake from its simple recipe; a pound of butter, a pound of sugar, a pound of flour and a pound of eggs. 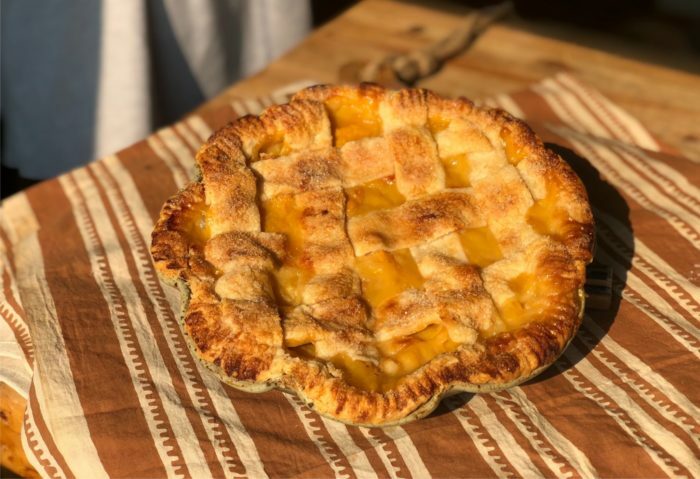 Cruze Farm’s take on this centuries-old American tradition uses buttermilk, baking soda and lemon juice to further leaven the cake, past the use of eggs, bringing a lightness to a usually very dense dessert. 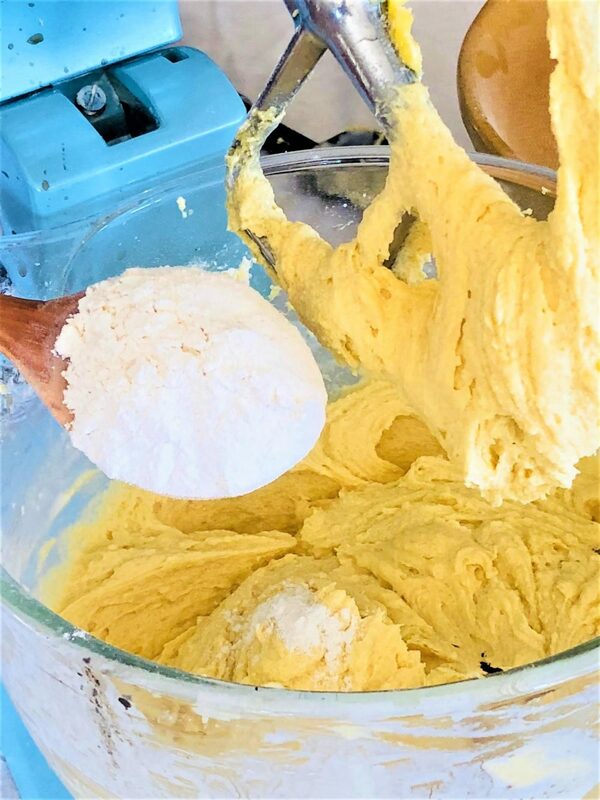 Their lemon zest glaze cuts the richness of the pound cake just enough, encouraging you to take more bites than you probably should. Now that we have hopefully convinced you to preheat your oven to 300 degrees, let’s get down to the nitty gritty! 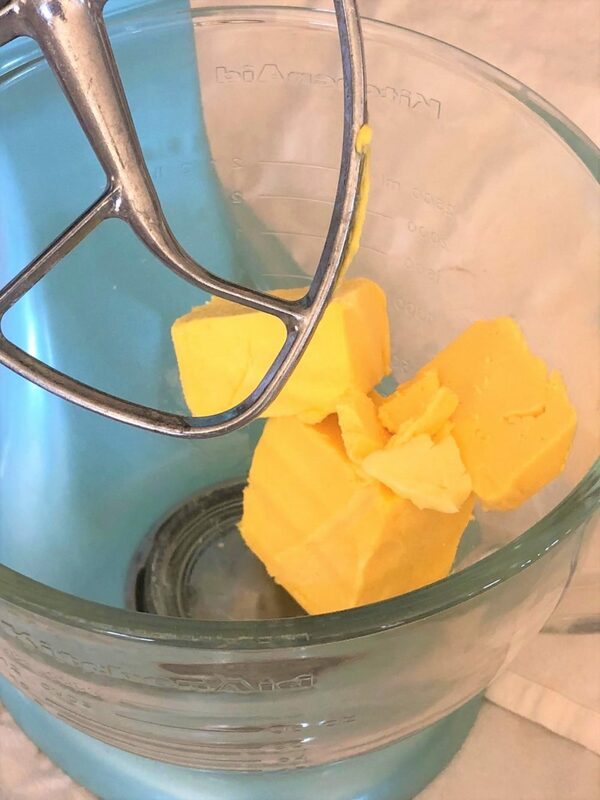 If you are using a block of real, raw farm butter like we did, weigh out 12 ounces of room temperature butter on a food scale. 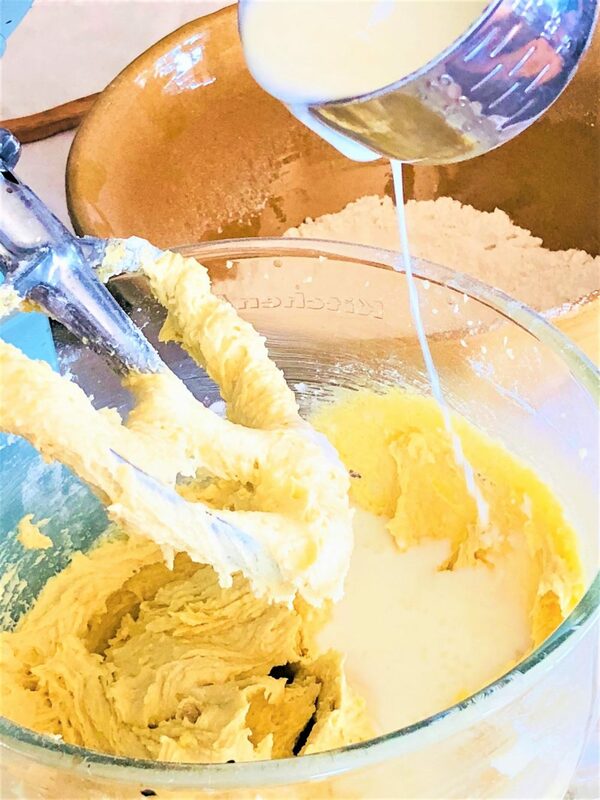 Set aside enough, typically two tablespoons, to butter and flour your bundt cake pan. Measure out your flour. 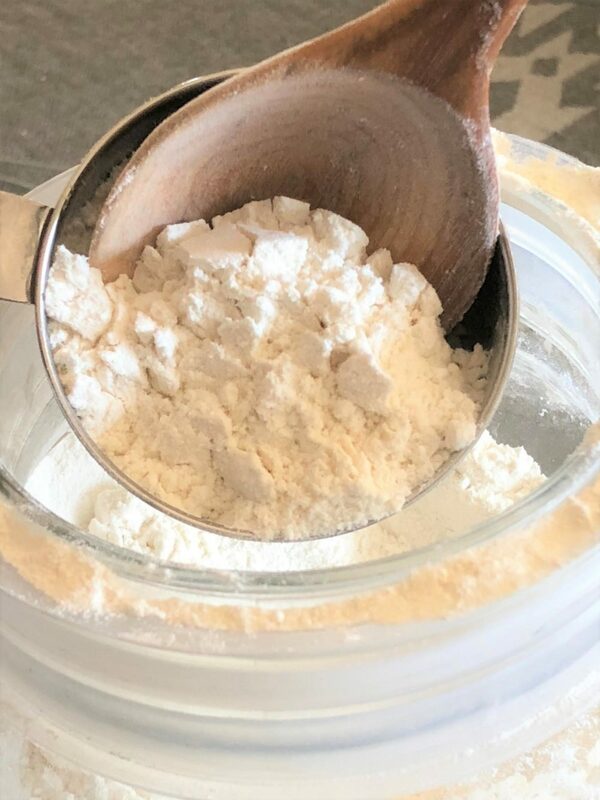 Combine your salt, baking soda and flour in a sifting instrument. 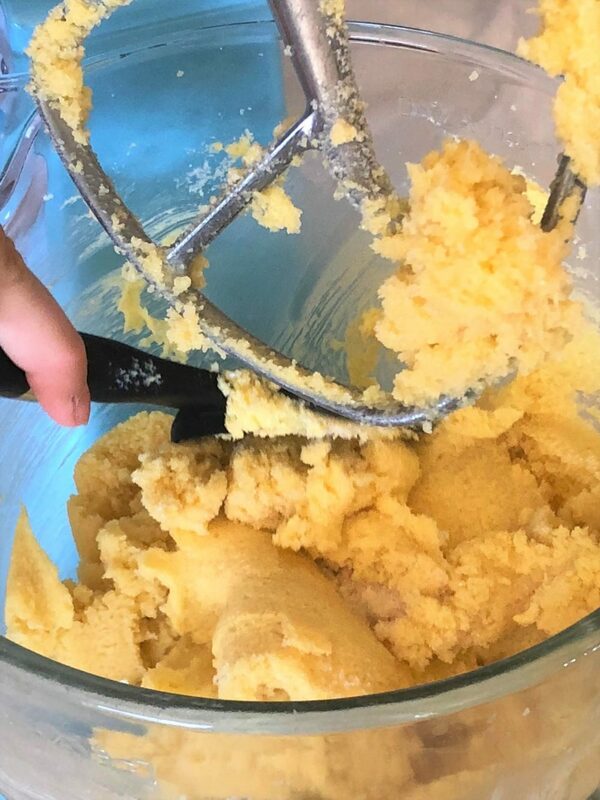 Unfortunately, we could not find our old fashioned sifter and so used a sieve. 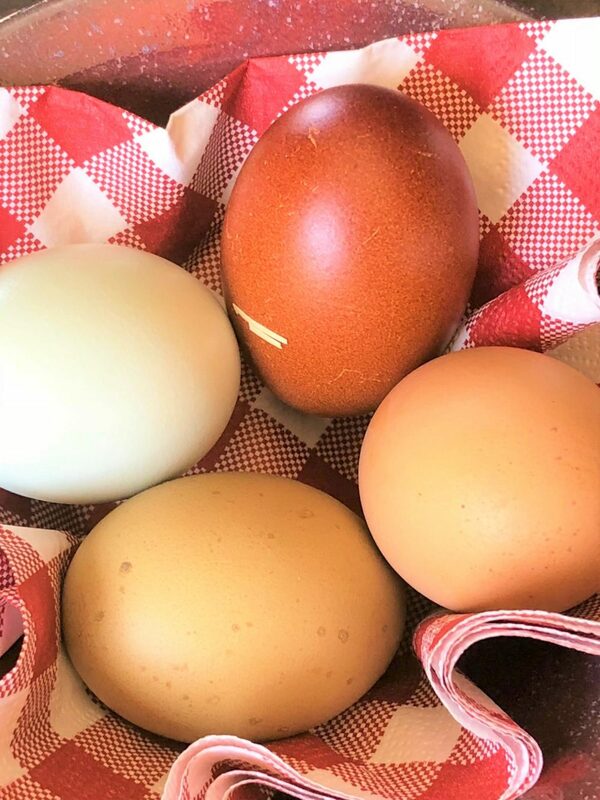 Make sure your four eggs are at room temperature and come from happy hens. 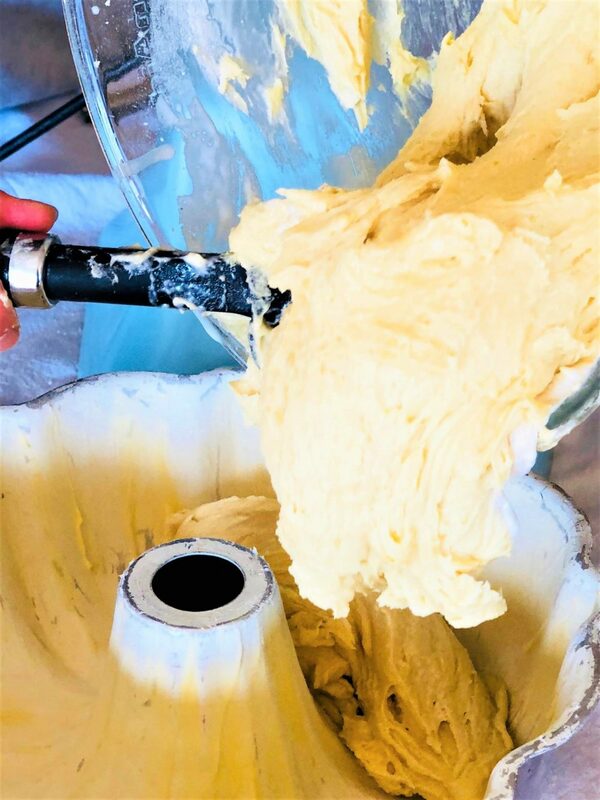 Cream your butter first, using the highest setting of your kitchen mixer. 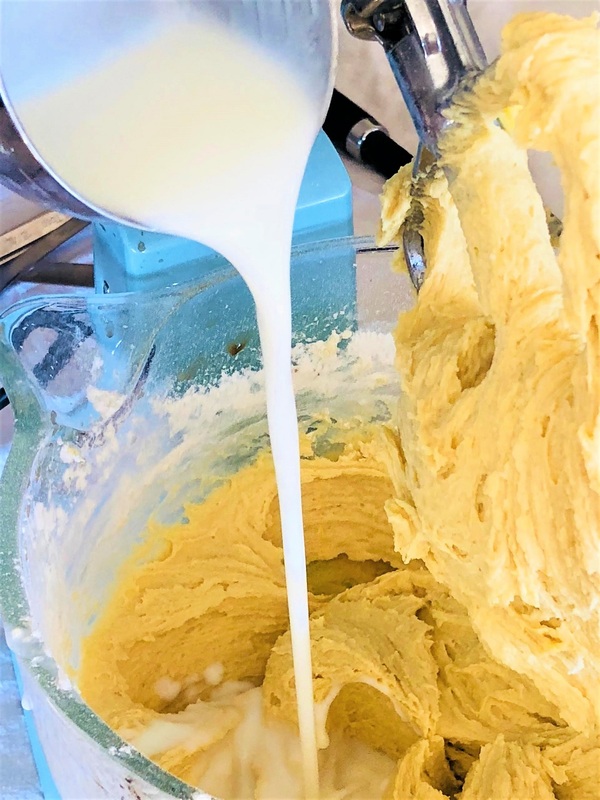 Slowly drizzle the sugar into the creamed butter, allowing the sugar and butter to cream for five minutes. 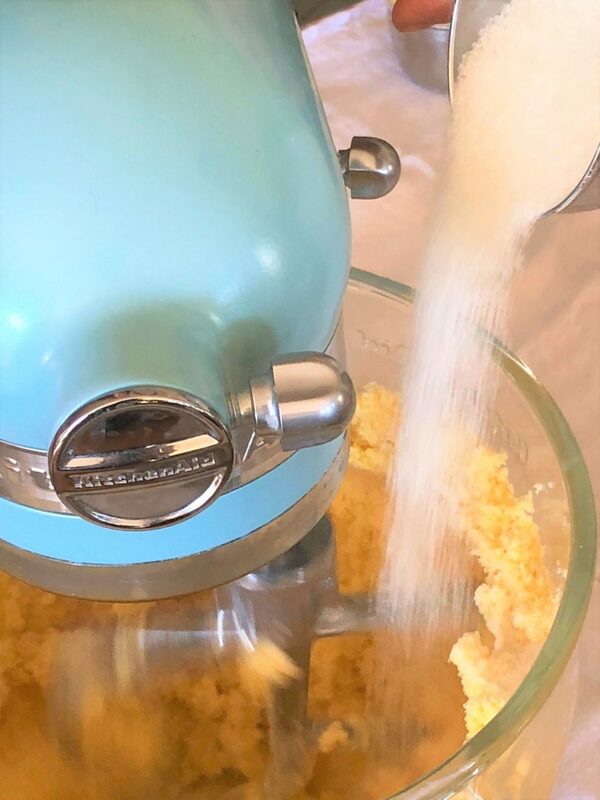 This gives the mixer enough time to incorporate plenty of air into the mixture, creating a lighter batter. 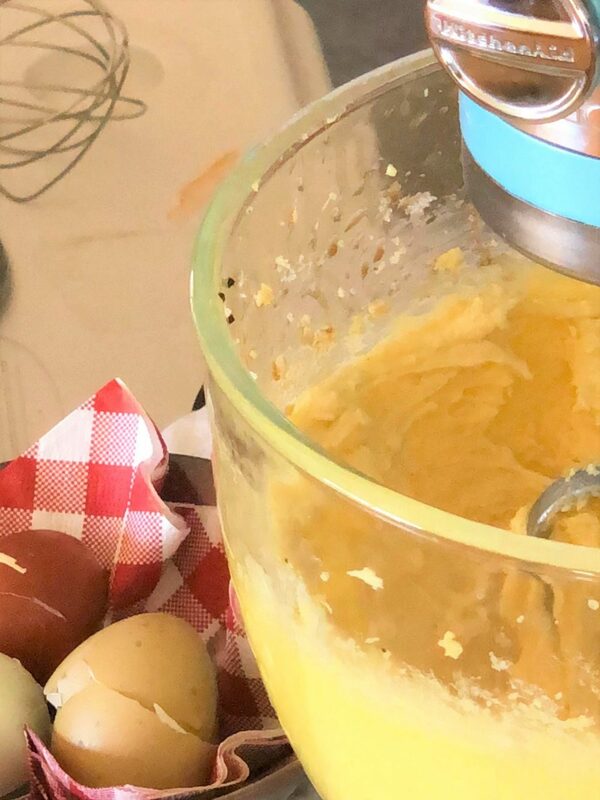 Add one egg at a time, so as not to lose the lightness of the batter. Beat in two teaspoons of vanilla. We added half a teaspoon of almond extract to compliment the light lemon flavor of the pound cake. 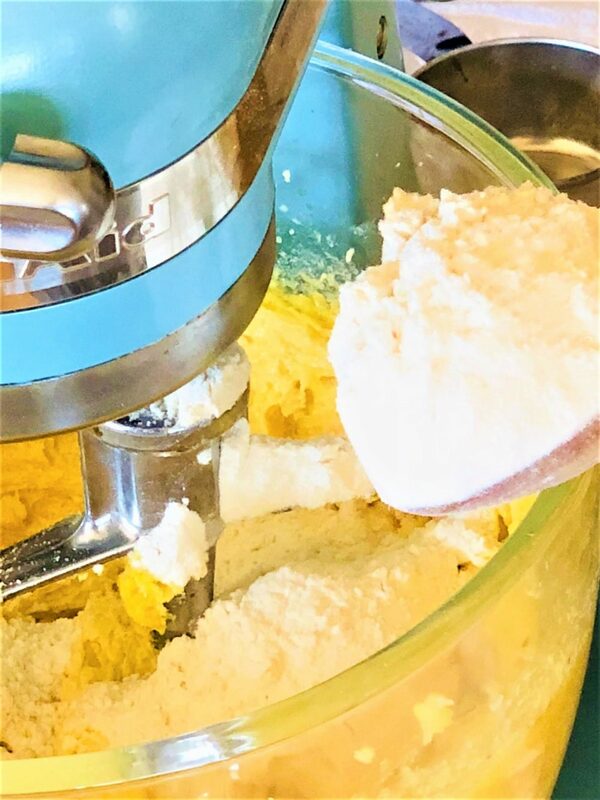 At a low speed, add 1/3 flour mixture until just combined. Add 1/3 of the buttermilk until just combined as well. 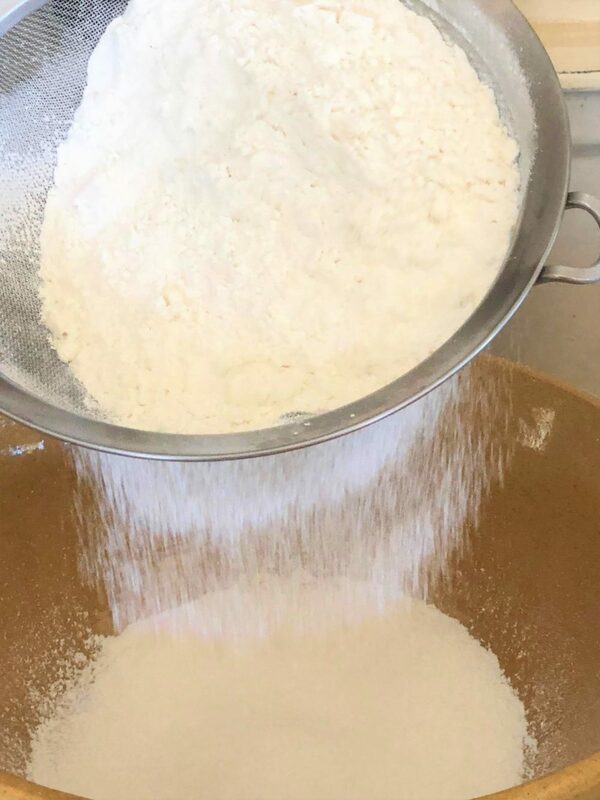 Repeat the above two steps with the remaining flour mixture and buttermilk until just combined. Stir in the lemon juice until incorporated. Be sure not to over mix. 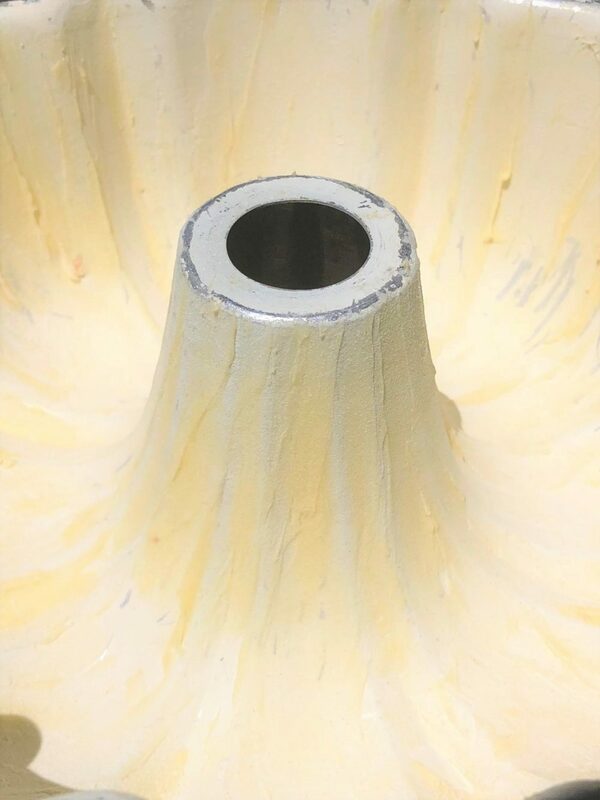 Spoon batter into the bundt pan, smoothing the surface to ensure an even bake. Below is our final version, topped with dried candied lemon peels and a handful of select berries. We sliced up the leftovers and froze it for later. 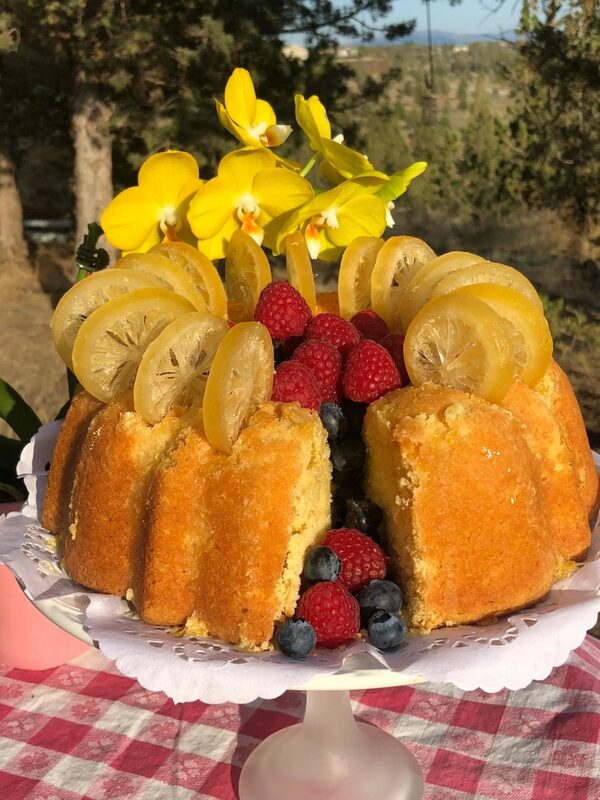 A simple slice of poundcake is a quick way to impress a hungry guest. 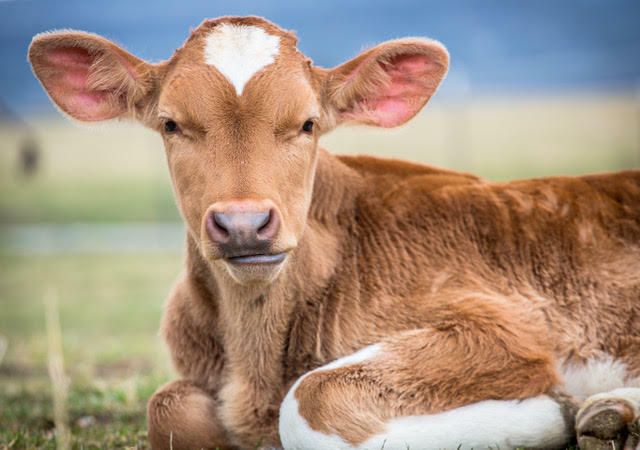 If you ever find yourself in the Central Oregon High Desert, be sure to look up and drop by Billie’s dairy farm Windy Acres. Her hospitality is warm and her homemade ice cream cold and refreshing. 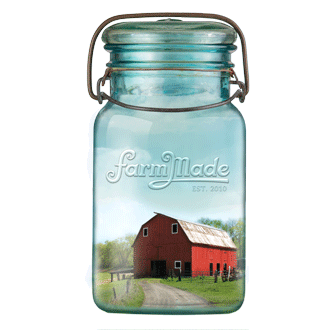 The tradition of making butter is ancient and has been around for thousands of years. 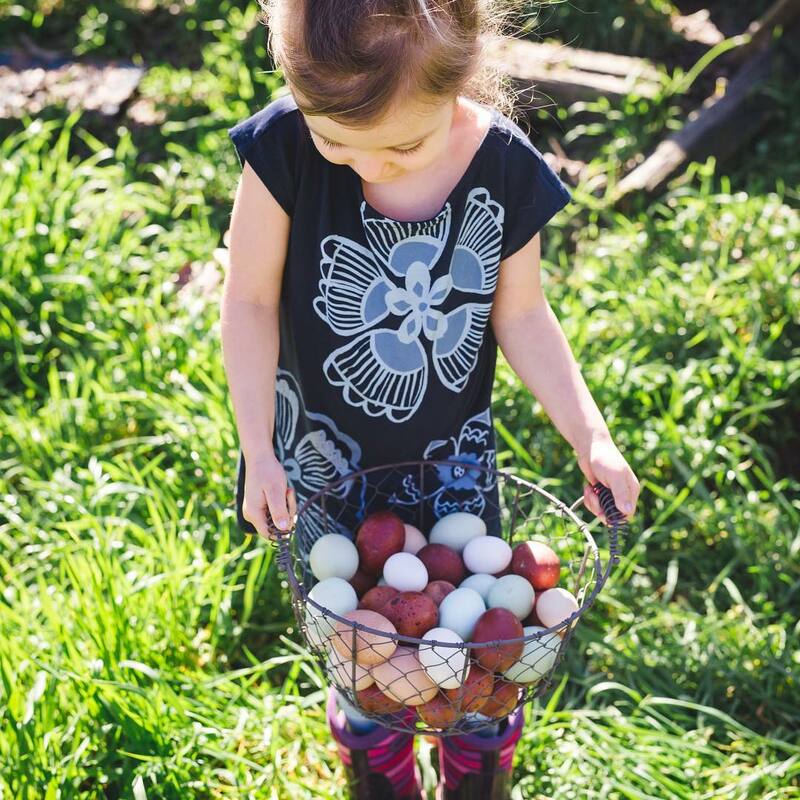 She herself has been churning it up for almost twenty years and is quite the local expert. We celebrate her craftsmanship and dedication.